Firstly, you will be picked up from any location which you like. Later, our representative will help you take a transfer to the hotel. 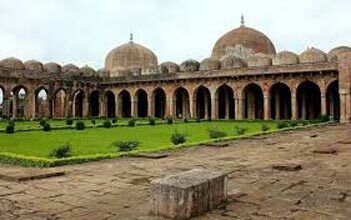 Begin with your journey by visiting the first attraction, attractions like Sanchi Stupas. On your way to Sanchi, visit places like Dewanganj, Salamatpur and other small villages. Sanchi, which is 46 kms from Bhopal, is a beautiful place which houses the most well-preserved Buddhist stupas. The place also has remains of the Buddhist saints, Sariputra and Mahamodgilya. Walk through the stupas and enjoy looking at the captivating Buddhist art. After sightseeing in Sanchi, come back to Bhopal. Have a comfortable stay in the hotel. This morning you will be heading towards your next destination, Bhimbetka. Munch your breakfast abd then leave for Bhimbetka. A World Heritage Site, Bhimbetka is a place located near Bhopal, just along the Satpura range of mountains. It has around 600 rock shelters which house many pre-historic paintings. The area which surrounds these caves, adds to their beauty as there is greenery all around. The place allures people from all over the world as it presents the earliest traces of human life in India. It has paintings of Stone Age rock which were made around 9000 years back. En-route, visit Bhojpur. Bhojpur is small village which is located on the banks of river Betwa. The place is well-known for its ShivaTemple and Cyclopean dam which dates back to 1010-53 A.D. 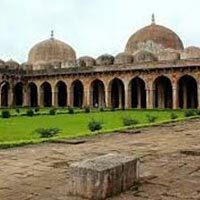 Enjoy sightseeing around the place and visit attractions like Bhojeshwar Temple and Jain Shrine. Jain Shrine is a major attraction as it has two figures of Parsvanath and a colossal statue of Mahavira which is 20 feet high. In the evening, head back to Bhopal. The beautiful journey ends in Bhopal.